Optimize space during loading of containers, trucks or any other means of transport. You save one trip every 4 or 5 shipments. You save significant cash. Professional software for managing mailing lists and newsletters. Send unlimited, return email control, enrollment / automatic cancellations, reading statistics, etc. Search contacts on the Internet by setting the area and category. Save time by automating searches with Extractor. Multi-calendar, multi-user, multi-platform, to have everything controlled. Text and code editor. Recognition of programming language, coloring and grouping. The App YoCuba is a system of accommodation bookings in Cuba. The App allows you to search available apartments by filtering by date and features. Want you a responsive website? Is a support tool for project management in a diagram that displays the status of the projects for a certain period of time. Is a tool for areas management. And is possible to set the size of the area in rows and columns, with cells properties. Is a component for color management. It is made available to a box containing the most used colors in shades divided. Is a component for manage the images with different features: zoom, drag and drop, automatic zoom all, mouse whell zoom, etc. Class for customizing the windows of Xojo projects for macOS. 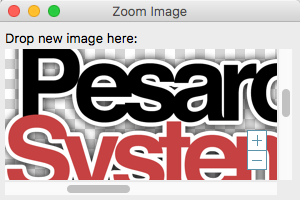 The class allows to transform the "old" classical view into the new style adopted by the most common App for macOS. I'ts a component for Visual Studio for area management. You can to set the size of the area. This will create a grid divided into cells, each with its properties. Professional and unlimited email service for sending newsletters. Thanks to our server you will avoid all those limitations that other mail providers such as Gmail, Yahoo, etc., Such as: sending limit daily; long lead times for shipping; spam filters; no security of message delivery; etc. The constant maintenance of our servers and cleanliness of our IP addresses from the black list, make this excellent service. Is a universal service which can be used with any mail program, such as Microsoft Outlook; Windows Mail; Mozilla Thunderbird; Mailing List Studio; Eudora; kmail; Mac Mail; Opera Mail; etc. It is compatible with any operating system and can be used with any connection and with any ISP. That's who we are and what we do. Have a look to our customers around the world. All ways to contact us. 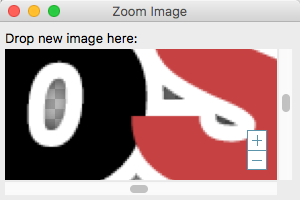 The Zoom Image component for Xojo Desktop development platform is a support tool for image management. 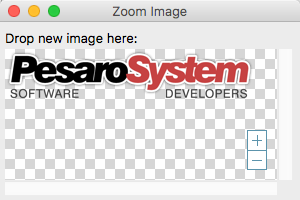 A box containing the image is made available. The component allows various features including zoom on command, with the mouse wheel, via code, moving, loading by drag and drop, etc. It can be used for drawing applications or any other environment where a dynamic visualization of the image is required. By downloading the component you will find an example of use. Everything is very simple and intuitive. Is available a trial version to test all Xojo Zoom Image features. You can buy the component in FULL version, is available on our store.